Sultry Sparkles Evening Dress | Sung Boutique L.A. 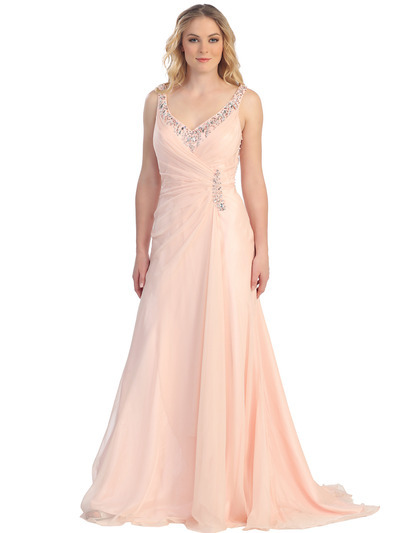 If you love sultry gowns that sparkle and shine, then this dress is for you! Its v-neckline is embellished with jewels that also take a v formation and its long, chiffon hemline flares elegantly out into a subtle train. Its back is sheer and open, aligned with layers of shimmering stones.